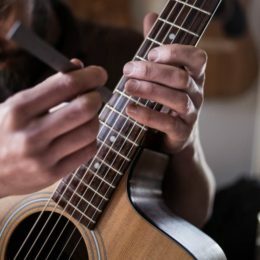 Set-ups include diagnostics, redressing and buffing frets, cleaning fret board, tightening hardware, restring, adjusting nut slots, truss rod adjustment, adjusting action, setting intonation, checking electronics, adjusting pick ups, detail and cleaning. Fret levels include measuring and leveling frets, recrowning and redressing to a high polish. **All other work will need to be custom quoted. Please stop by today for your free quote!